The Samsung Galaxy S4 is one of the most rumoured smartphones right now and many are excited to see what new features Samsung will bring to their flagship device. With such excitement comes a lot of apparent press shots, photos, benchmarks and stats that we cannot be sure are real or fake. There are plenty of obvious fakes that come into the mill, but many cannot be considered true or fake, because they seem legit. The newest photo is an apparent press shot from someone inside the company, which was sent to SamMobile. While the phone doesn’t show many unique design changes, there is no home button present on the device. Samsung have had the home button for a while now and added it to the Galaxy Note II and other devices recently. Google did, however, say that partners should look to integrate with the Android buttons. Google did say that back when Ice Cream Sandwich was unveiled though, so Samsung clearly haven’t listened to Google and if this is a change, we doubt it will be to do with Google’s ideas on how you should run Android. The image isn’t the first and surely won’t be the last before we get any sort of official announcement about Samsung developing the Galaxy S4. 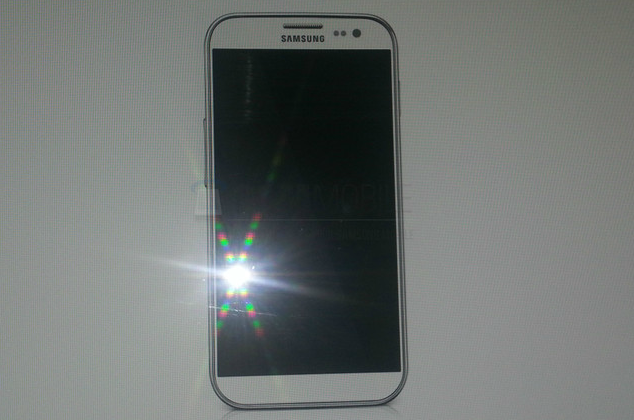 With Samsung bringing a lot of their ideas to CES, we may get a glimpse of what the Galaxy S4 will look like.